This June saw 300 performers take part in Worcestershire's festival of arts for young people, Voices and Visions 2018. 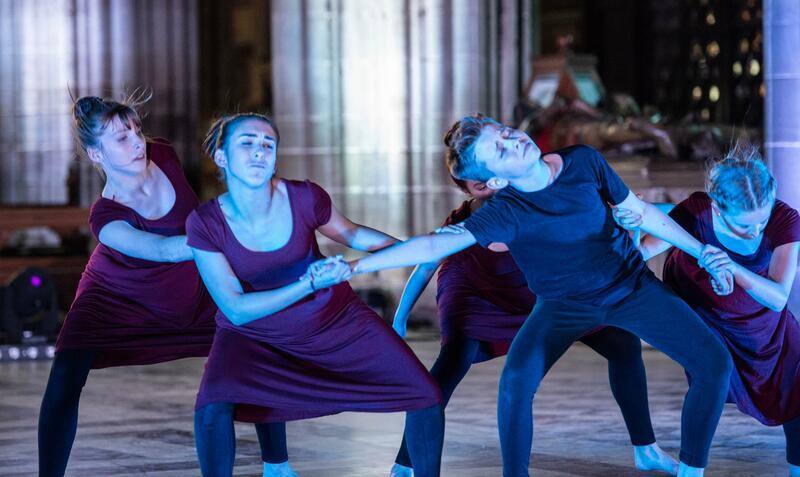 On 13 and 14 June 300 pupils from across the County took part in two performances in the beautiful surroundings of Worcester Cathedral. Performances were based on the theme 'Acts of Kindness' and challenged the audience to look at themselves and to look at friends helping each other. Both nights bringing a tear to the eye for many people. Then on 15th June, The Hive hosted a further performance for younger children in a more informal setting, giving many of them the opportunity to perform for the first time in front of a friendly and supportive audience. Councillor Lucy Hodgson, Worcestershire County Council's cabinet member for communities said: "I was very impressed with the standard of all performances this year. There was a huge age range from children, some as young as 7 years old right up to 17 year olds. It was clear that they had all worked so hard in the lead up to the performances. "The exhibition was also of a high quality and we are thrilled that this year some of the pieces will be transferred to County Hall where they can be enjoyed by staff, councillors and visitors there." Voices and Visions 2018 is a festival of arts that takes place between May and August each year. It is a celebration of creativity by and for children and young people in Worcestershire with a range of concerts, exhibitions projects and performances. Since May there have been a number of events which have demonstrated the wealth of talent there is in the county. Over 40 schools took part in the annual exhibition in the Cloisters at Worcester Cathedral organised by Worcestershire County Council. This year's theme, Acts of Kindness, lead to many emotive pieces that showed just how important it is to think about others.